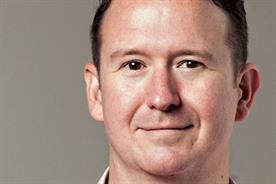 It's hard not to get caught up in the sheer 'wow' factor of Mindshare's annual huddle day, says Immediate Media's Toby Hicks. A mind-boggling ideas festival with over 200 individual events, 15,00 guests, totalling nearly 100 hours of talks, ideas sharing, brainstorms, cutting edge kit demos and hot dogs…. and all without a single powerpoint slide in sight - Mindshare's Huddle blows the mind. 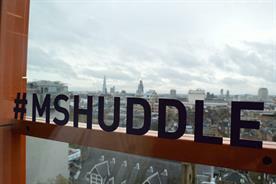 Media, cultural and tech pioneers, academics and interested amateurs rub shoulders with the gathered ‘huddlers’ jostling for space through two floors of Mindshare’s St. Giles offices. 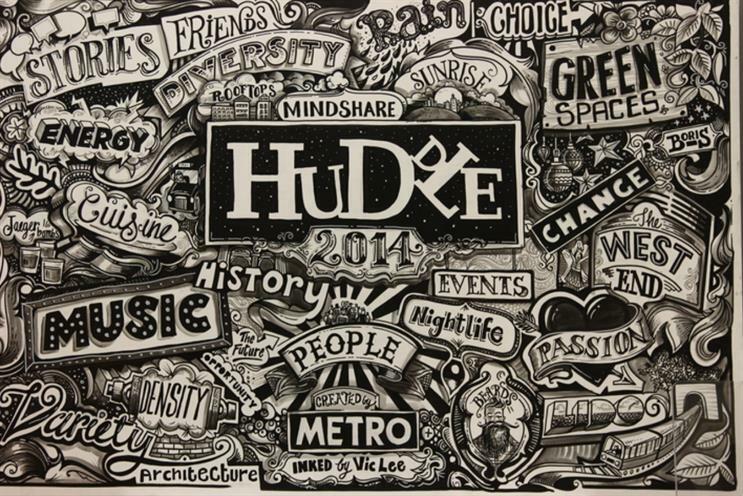 One of the sessions at Mindshare’s 2014 huddle was called ‘The Power of Dreams’, and real examples of their impact in developing new inventions and creativity. This was emblematic of the day as a whole with the very real sensation that the once far-fetched fantasies of science fiction writers were now becoming reality before our eyes. Google Creative Consultant Amar Thanki huddle involved a film of the world’s first flying car, liquid data, holograms and a wearable watch with the potential to detect pre-cancerous cells. A Russian firm were even developing technology enabling people to use 3D printing to reproduce their own organs. If that isn’t enough to get your head around, one huddle saw a real life ‘cyborg’, Neil Harbisson. Born with the inability to see colour, he has had an antenna inserted in his skull that enables him to see colours as sounds. For him art galleries now had become ‘concert halls.’ Virtual reality and the impact of crowd sourced funding in powering the ambitions of tech pioneers were two themes that ran prevalent in the day. These zeitgeist forces came together with a session demoing a 3D printable virtual reality headset from a company called Afterglaze. 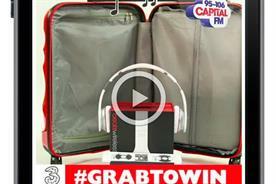 They are following in the virtual footsteps of Oculus Rift who had Twitter buzzing with their sky diving experience. Meanwhile, Mindshare’s grant for Kickstarter or crowd sourced funding saw firms pitch for funds ranging from 3D cameras to a 3D printer Ibox to a version of Spotify for the spoken word. Interactivity is a key feature of the day with round-table Huddles, panel Huddles, workshop Huddles and Huddle Hacks seeing passionate debate, discussion and ideas sharing. One key theme in the discussions were on how media owners and advertisers can ride the crest of this emerging technological wave, rather than getting swept away by it. Solutions suggested by media owners and advertisers included using the power of their brands and expert knowledge to offer ‘content’ and bespoke experiences to populate virtual reality, whether interactive fashion galleries, the experience of being in super cars or transporting people to virtual real estate tours. For advertisers one of the challenges raised was on the low level of present consumer consumption proving a barrier to entry, but naturally the democratising impact of 3D printing could soon change that. Increasing collaboration would be key in a world with a blurring of boundaries between tech, science, entertainment, data, social, mobile and gaming. This was brought to life by X-Box with Project Spark, where huddlers built a unique and instantly playable gaming experience, which huddlers could demo by the end of the day, developing a world with its own climate, landscape and landmarks. Meanwhile Grand Visual, the creators of AR experiences had a live augmented story created by huddlers on the day. A brave new world is here and the challenge for all media companies is embracing it and staying relevant.